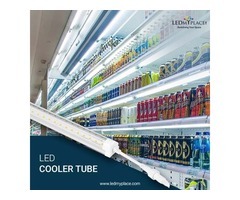 •These clear tubes are made with Glass which reduces the risk of glass-breakage as well. •This 5ft LED cooler tube produces 3840 lumens with colour temperature of 5000k providing neutral white-day white light colour glow. 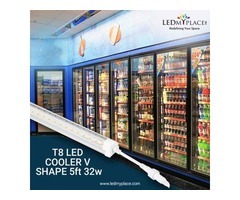 •The superb Heat Dissipation will dissipate the heat through a big aluminium heat sink that is fixed inside these LED cooler tube. 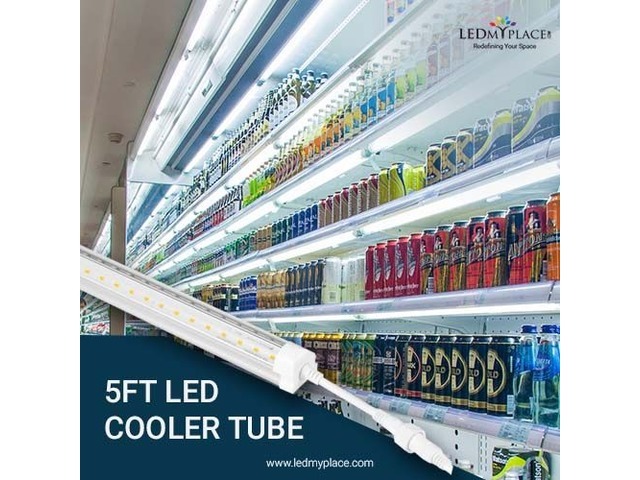 •The beam angle of these 5ft LED cooler tube comes with 180 degree beam angle that will provide more illumination to the food merchandize kept even at the extreme corners as well. •Comes with IP54 Rating making these tubes protected from dust and water. •Once installed, you can use them for 50,000 hours that too if you use them for 24 hours a day as well. So use these energy efficient and eco-friendly lights that can provide savings of more than 75% if replaced with any 80W of fluorescent tube.